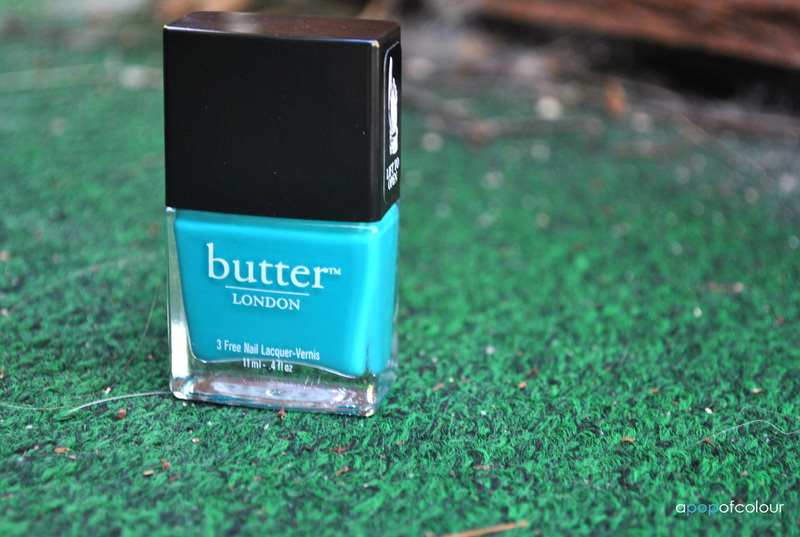 When I was in Vegas last week I finally picked up my first shade of a Butter London polish. I have wanted to try this brand for a while but none of the colours really popped out at me that much to spend the C$17 for one varnish. I have been eyeing Slapper, a teal lacquer from their spring/summer 2012 collection, for months and since The Bay didn’t seem to carry it (they do now) I was excited to find it at Nordstrom. Slapper is a pretty interesting shade. It’s a really gorgeous teal shade in the bottle but when applied on it’s more of a green colour. It actually tends to change colours depending on the lighting. For example, the colour in the bottle doesn’t quite look like how it looks on my nails as I type this. This is a very unique shade as it changes colours depending on the environment you are in. I was worried that it would be similar to OPI’s Fly or SpaRitual’s Indigo, but those two shades have more of a blue base to them and Slapper is more of a green base, in my opinion. Slapper is also lighter than the two aforementioned colours. As for application, I used two coats to get this opaque and it’s quite creamy when you apply it. This polish really does apply like a dream and it’s not streaky or anything. I can see why people love Butter London polishes. I used Beauty Secrets base coat with Poshe top coat. I really do love this colour and although it’s a spring/summer shade, you can easily wear this into fall. I have already worn this twice now because I just love it so much. 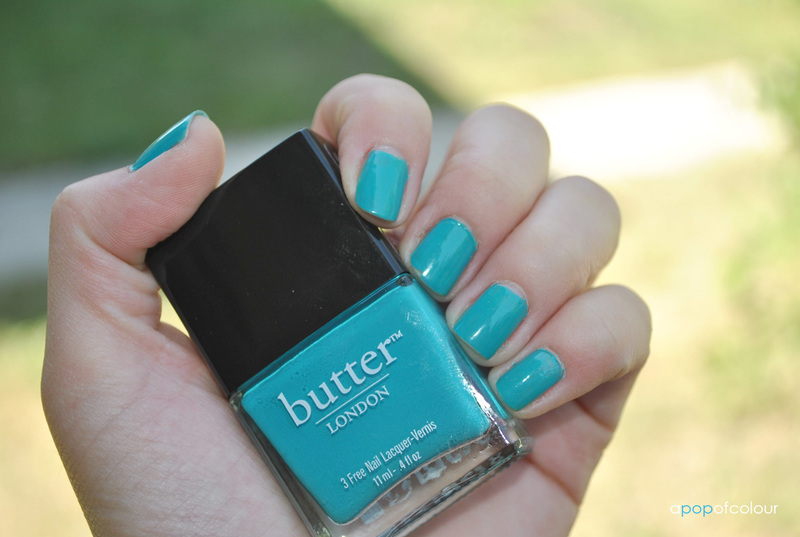 Have you tried Butter London’s Slapper? If so, what were your thoughts?